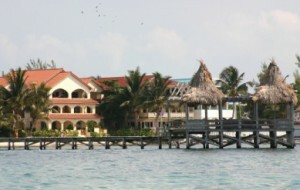 San Pedro Town is a very popular attraction in Belize. This large settlement has a variety of different accommodations and amenities for visitors as well as residents. And if you choose to purchase property in Belize, you may find yourself visiting this town quite frequently. While the size of San Pedro Town attracts plenty of visitors and retirees, it's the unique environment that keeps people interested. Nature-Watching - there are over 500 species of birds on the island, and several varieties of land animals that can be observed on tours and in refuges. Cave Tours - unique caves carved from limestone make for a great afternoon of discovery and exploration. Discovering Marine Life - a star of the island is, of course, the coral reef, which is home to several unique species of marine life. Relaxing on the Beach - lay back on the island's expansive sandy beaches, soak in the sun and drift away to a state of true relaxation. Shopping - in terms of shopping, there are local markets throughout the area and tourist-friendly Front Street offers several comfortable shops that sell everything imaginable including local Belize crafts and clothing. Dining - there are several restaurants from fine cuisine to local cafes serving local specialties. If you feel like cooking yourself, there are different small supermarkets in town that offer fresh groceries for you to take back to your hotel room and prepare. When planning your next trip to Belize, consider spending some time in San Pedro Town. Whether you want to experience the ultimate in relaxation or absorb more of the local culture, San Pedro Town is a must-see.